Cox® Technic is evidence-based spinal manipulation with a rich history of clinical and biomechanical research efforts performed in laboratories with federal grants and in private practices with practitioner excitement and desire to show what is possible with non-surgical, chiropractic spine care for many spine conditions. In the realm of evidence based medicine, research, clinical expertise and patient preference collide. That’s where Cox® Technic flexion distraction resides. It’s spinal manipulation. It’s spinal decompression. It’s an alternative to back surgery for many. It’s pain relieving. 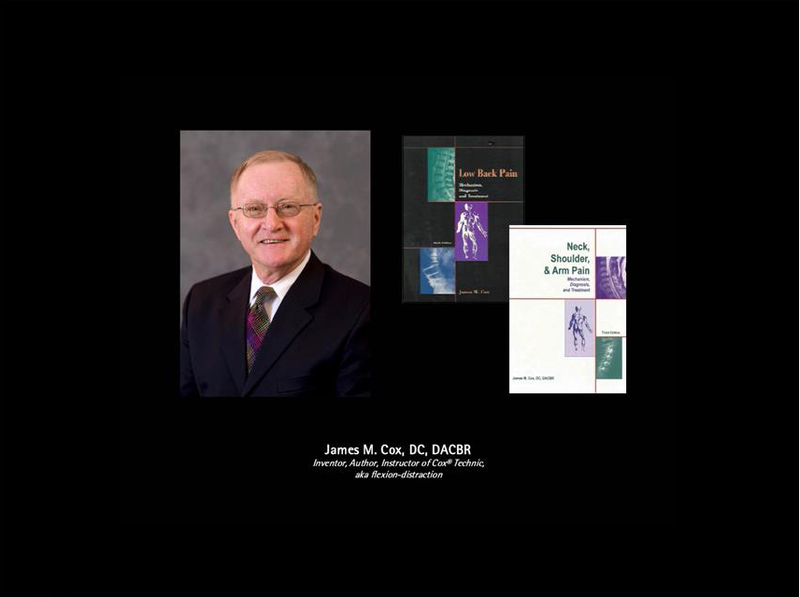 Research – From clinical case reports and series - online and in journals - collected and published by individual chiropractors to large scale federally funded biomechanical studies and high-level randomized clinical trials, Cox®Technic has developed a sturdy foundation of spine care research. In the largest data collection of low back pain outcomes (1000 cases), a mean of 12 visits in 29 days to relieved pain. For cervical spine, 13 visits was the mean. Clinical Expertise – From small group hands-on workshops in individual certified doctors’ offices to formal certification courses with highly experienced instructors, Cox® Technic research-documented protocols are demonstrated and practiced with chiropractic physicians being certified in Cox® Technic protocols: lumbar and cervical. In the Honors Courses, certified Cox® Technic physicians share challenging and successful cases as well as the most recently published spine care research that affects their practices. Online courses and live webinars allow physicians to keep up with the latest in spine care and Cox® Technic. See our full Calendar of events and product store for neck and back pain patient, doctor and practice support items. Patient Preference – Patients and doctors use the “Find a Physician” online referral directory to get care for themselves and/or their patients from certified and well-trained Cox® Technic chiropractic physicians who are back pain specialists. The Back Doctors (audio) Podcasts offer real patient case descriptions of Cox® Technic’s ability to relieve back pain, neck pain, arm pain, leg pain and other spine related conditions. Physicians wanting to keep up with the latest in Cox® Technic free can check the weekly NEWS each Tuesday, sign up for the monthly CASE REPORTS & NEWS that comes out on the second Tuesday of each month, and keep up with the social media - Facebook, Twitter, LinkedIn - where we post new info all the time! Patients seeking relief of their lower back pain and neck pain can rest easy knowing that Cox® Technic Flexion Distraction Protocols are safe, gentle, and well-documented to help them. 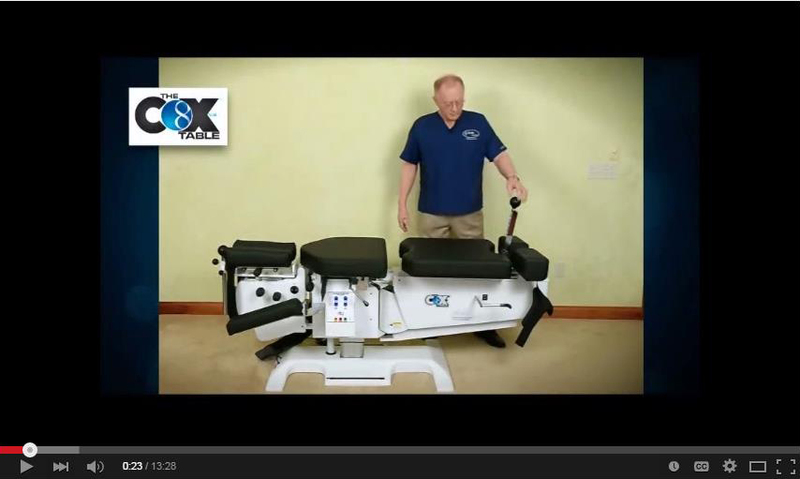 Cox® Technic works…for patients, for physicians, for researchers! Click the links below to follow us on Social Media! - Facebook, Twitter, Linkedin and our blog!